Yes the main character is very whiny in the beginning. But I promise you he is getting braver. After 5 episodes this show is starting to show some life. My opinion is the show's main theme is trust. I am a fan of normal people going to distant worlds ala El Hazard. PERHAPS at the end the show will be just as good. I intend to watch to see if it does. Great Anime, A must see! A true must see. Power and how do we obtain power? By bending people's will with violence and terror? This anime has far reaching issues that have plagued all man kind for a long time. Touching, Riveting, and at time tearful. 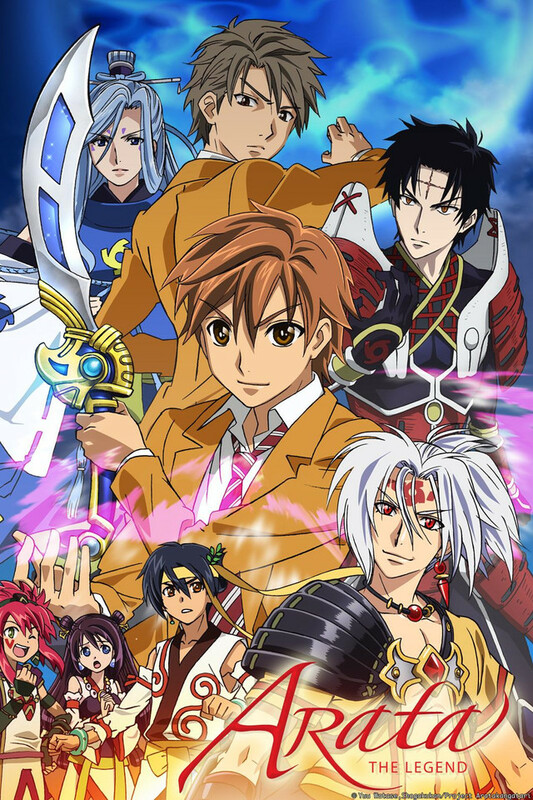 Arata the Legend is a interesting Show i have to say, i really find it interesting how one boys issues is his weapon, but over all i have to say that this is a slow but interesting Anime and is some thing to enjoy the interesting lessons it gives. I will say its starting to spice up so start watching!!!!! one of those shows you will lose sleep for. I was very close minded about this show at first, after reading the plot it sound like some shojo about some crossdressing boy who pretends to be a princess after the current one is killed. (i read the manga plot not the plot on crunchyroll) I saw it was a shounen and thus gave it a shot and Marathon the series to the most recent episode (9). I'm not very proud of myself for being so close minded and glad i gave this anime a shot it's amazing.